Is it possible to hack a WhatsApp Account? Unfortunately it is still possible. Here I will show you the limit of WhatsApp security system. WhatsApp is a messaging system that has end-to-end encryption, to offer improved privacy for people who want to chat online. WhatsApps’ security is something that has attracted a lot of attention in the past – there have been a number of flaws uncovered over the years – at one point it was simple to crash another person’s app just by sending a very large message, and while the app was crashed, it was possible for an attacker to hack your WhatsApp account and get access to the messages. That is no longer the case – the app has improved significantly, and it’s now far more private, but it is far from perfect. The end to end encryption is particularly interesting – WhatsApp themselves can’t even read your conversations, the data that passes through their servers is encrypted. Your messages are coded when you send them, and decoded by the recipient. This feature is enabled by default when you download the latest version of WhatsApp and send a message to someone else who is using the latest version of the app. Now, end to end encryption isn’t perfect. There are ways to impersonate a message recipient and get access to the key that is used to decrypt a person’s messages, but the new system is a massive improvement over the old system, so it’s a very good idea to install the latest version of WhatsApp. There are a lot of different ways to spy on WhatsApp. One way involves Mac spoofing, but there are other ways that you can read messages, look at videos and pictures, and generally see all of the activity that people are doing. The apps are pretty sneaky – and they don’t just spy on WhatsApp, they’ll spy on other chats too, including Skype, ICT, Facebook, and more. You can get most of them for Android and iOS, and some of them are available for BlackBerry and Windows Mobile too. To use the apps you’ll need to get physical access to the device in question, and then you’ll need to install the app on the device. It will run in stealth mode, so the ‘victim’ of the spying won’t have any idea that they are being spied on, unless they are very savvy and delve into the inner workings of their phone. This makes them good for spying on, say, a cheating spouse or a child that has just got their first phone. Some companies use them as a matter of policy – note, however, that you’re not allowed to just ‘spy’ on employees – they need to know that they are aware of the tracking app, otherwise that is a breach of their privacy. 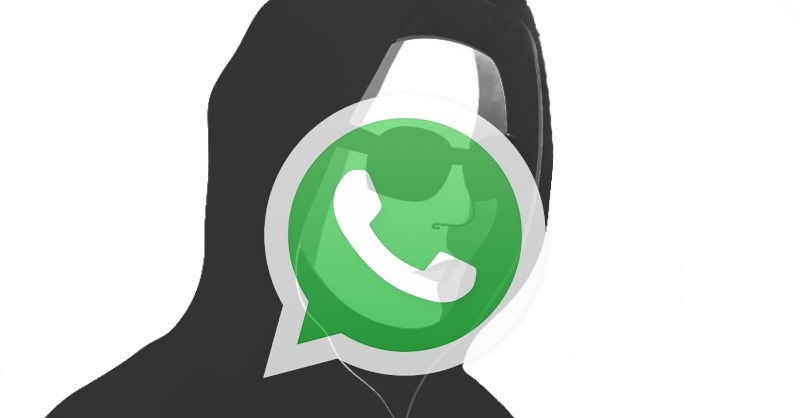 Mac Spoofing is a more sophisticated way of spying on WhatsApp messages. It means that you need to find out the Mac Address of the person that you want to spy on (you can usually find it in the phone’s settings), and then you will need to change your Mad Address, and re-install WhatsApp on your own device. Then, ask for the activation code to be sent via SMS, get the code from the ‘victims’ phone, and then complete the authentication. You will be able to see the messages that were sent to the person you were spying on. You can log in to WhatsApp on a computer using the QR code (again, you will need access to the victim’s phone for a few moments), and you will then stay logged in pretty much indefinitely. These techniques are not really legal, and you could get into a lot of trouble if you tried them, but they’re an interesting idea. Sometimes, you don’t want to hack a WhatsApp account or spy on messages, you just don’t want to let the person you’re talking to know where you really are. You can fake the location that you send to other people when you’re using WhatsApp – and this is a good way to avoid stalkers. However, it’s interesting to note that it’s pretty easy to figure out whether someone has sent a fake location to you – WhatsApp will allow you to move the location that you’re sending – it actually has a feature built-in to the app that lets you state what location you want to send to people – but it shows the full address of the location alongside it, whereas when someone is sending their real location it just shows up as a pin on the map. This means that it’s easy to tell whether someone is trying to hide something or not, so you can’t get out of having to answer difficult questions if someone challenges you on where you really are. If you want to protect your account, then there are some simple precautions that you can take. Firstly, don’t let anyone else use your phone. A lot of ‘hacks’ aren’t particularly sophisticated – they are more like social engineering; someone tricks you into handing over your phone for a few minutes and installs malware on it. Never let your phone out of your sight, and you won’t have that problem. Secondly, install the latest version of WhatsApp, and keep updating it whenever a new version comes out. Most new versions will have security updates, as well as the occasional usability update or new feature that you might like. There are other areas in your life where “if it isn’t broke, don’t bother fixing it” might apply but with computer software that connects to the internet, updating makes sense to make sure that you’re running a secure version. Finally, protect WhatsApp with a password. This will ensure that if by some fluke someone does get their hands on your phone, and they then decide to try to use it to read your messages, they’ll have to a) unlock the phone (you do have it locked, right?) and then b) unlock WhatsApp too. The more barriers there are in the way of someone reading your messages, the better. Does she have an Android or iPhone?